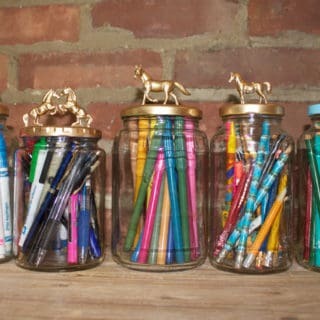 We love crafts that allow us to use something ordinary and transform it into something extraordinary! You can get drinking straws, both paper and plastic, in almost every store. 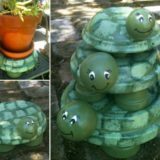 They are easily accessible and very low-priced, meaning this roundup is perfect for anyone who wishes to be frugal in their crafting! 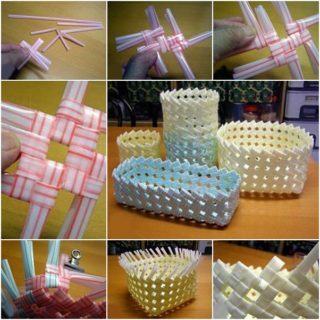 Take a look at these 12 innovative drinking straw crafts and pick the one that stands out for you the most! 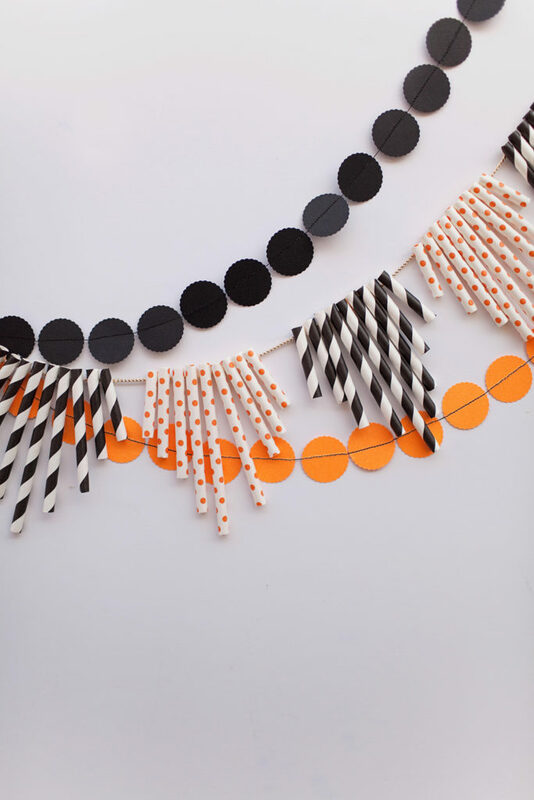 Making a paper garland is a very quick and easy way to give our wall some decoration, especially if we are decorating our home for a special occasion! 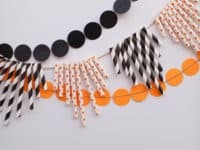 Adding a variety of paper straws into the mix will make our garland much more appealing and dynamic! 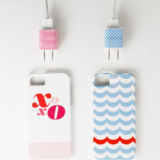 See how it’s done at Tell Love and Party. 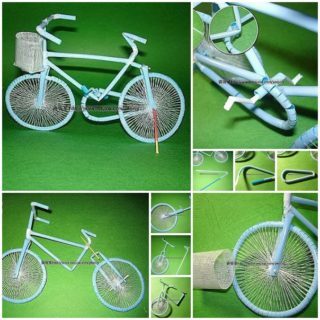 Children will love to participate in this craft because it requires some patience and it can be challenging! 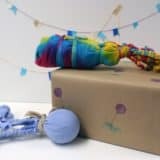 This is a wonderful project to encourage them through it and celebrate together with them when they finally succeed in making a big straw dome! 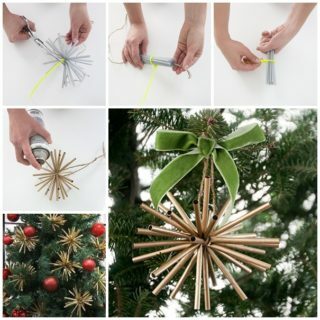 You’ll find the instructions at Babble Babble Do. 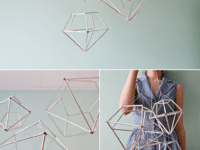 Metallic decor is very popular right now, but if you feel that’s outside of your budget, you can always make something that looks like metal but is secretly something else – like drinking straws, for example! 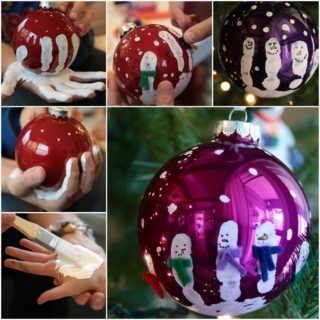 We can tell these diamond ornaments had you fooled and that’s how you know Sugar & Cloth has killer instructions! 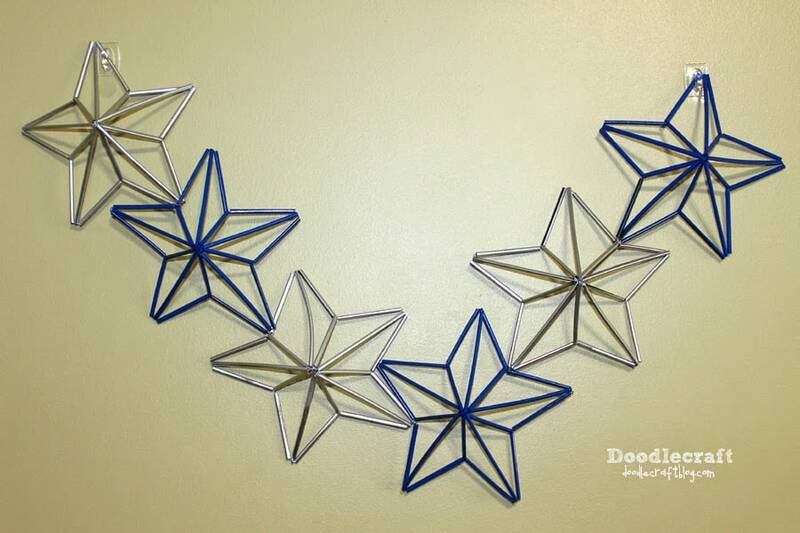 Speaking of home decorations, a simplistic star wall decor is an element any room can welcome and benefit from! 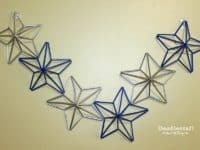 You can whip up this star garland by using a pack of straws and following the instructions at Doodlecraft. 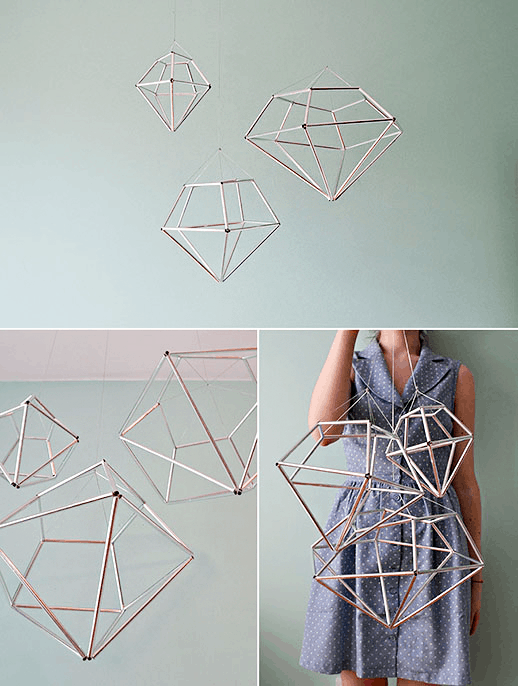 Tired of over-expensive jewelry? 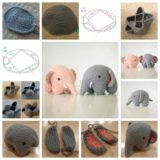 It’s time to take matters into your hands and make your own accessories that are affordable and completely unique! 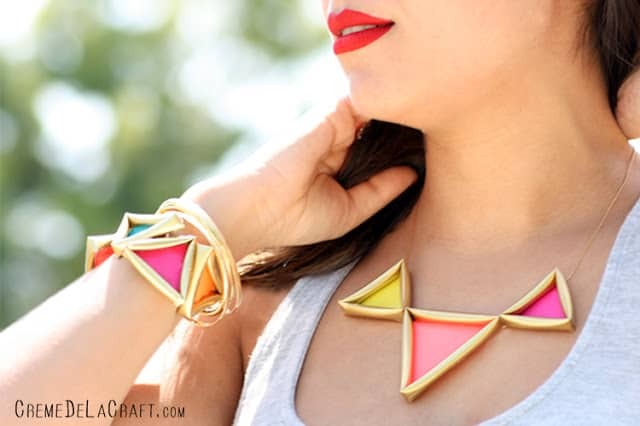 This neon straw necklace and its matching bracelet are definitely a set you will want to give a try! 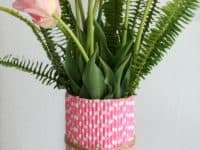 Get all the details at Creme De La Craft. 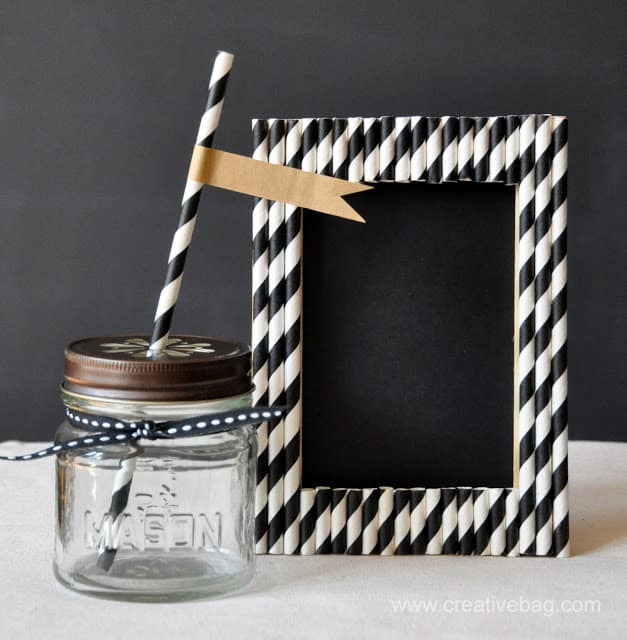 For a monochrome frame, you will need some black and white straws and the guidance of Creative Bag. 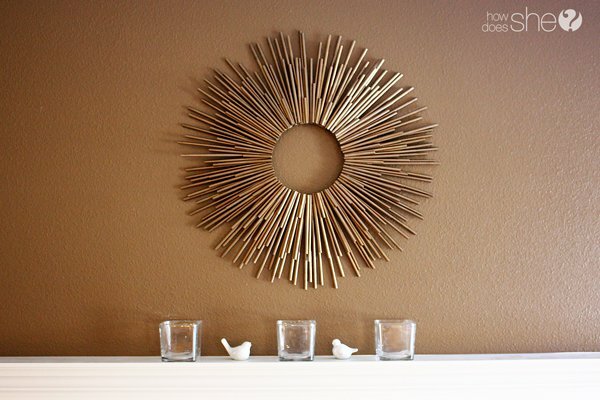 An amazing way to spice up an old and boring photo frame and make it fit your personal style. 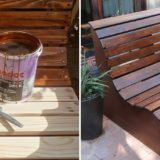 The final result looks elegant and chic beyond compare! 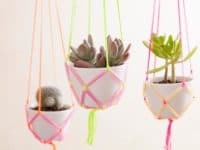 Perhaps one of the most surprising things you can make from drinking straws are these neon planters that will provide a really creative and lucrative way to hand your beloved plants! 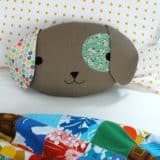 When your house decor is both original and practical, you know you have Brit + Co to thank! 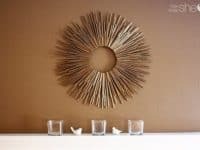 This starburst frame is an example of a luxurious DIY project that easily wins over anything you could have bought in a store! 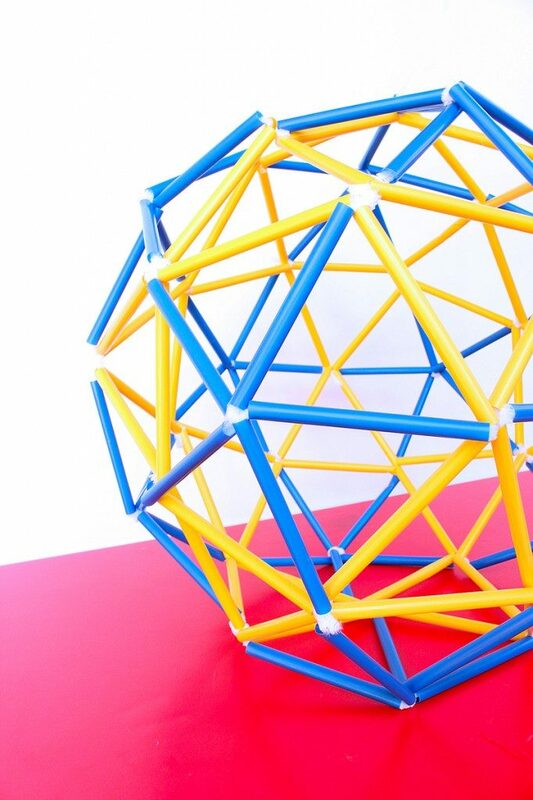 The golden look of the straws and the magnitude of the sun rays have stolen our heart as soon as we laid eyes upon this fantastically fabulous sunburst frame! 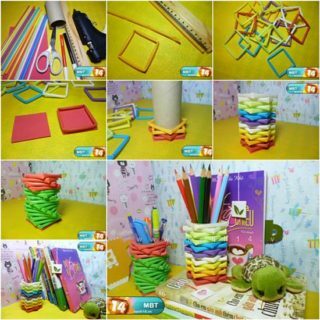 Find out how to make it at How Does She. 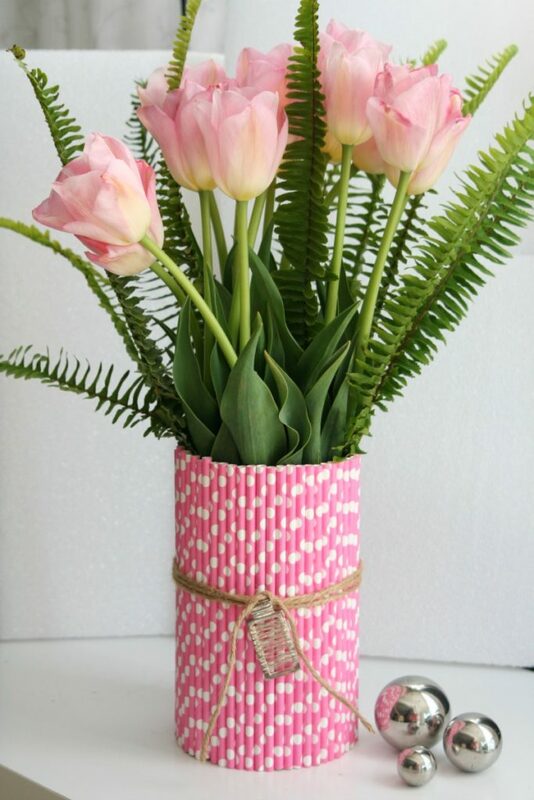 How to make a lovely vase that will match the shade of your flowers in just a few minutes? 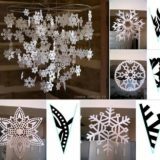 By visiting Amy Krist and following the step-by-step! 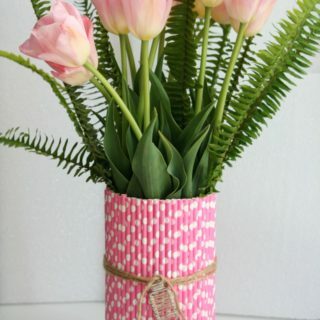 This is also a great idea for a last-minute gift with a personal touch or a centerpiece for a special occasion! 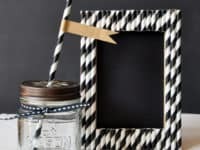 Can’t get enough of straw accessories? 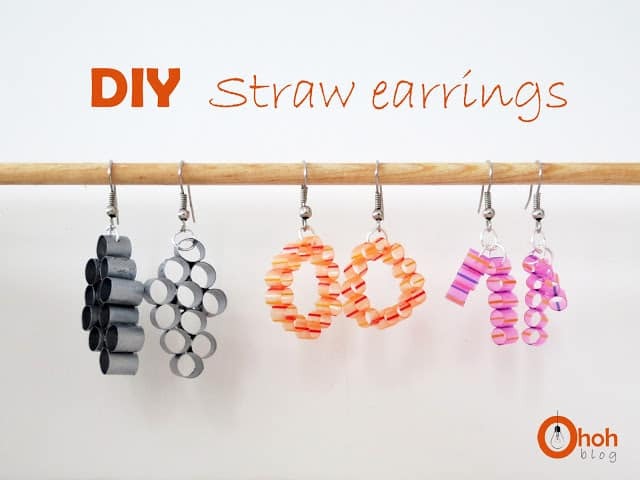 Here are some amazing, one of a kind straw earrings to match the bracelet and necklace you’ve seen above! 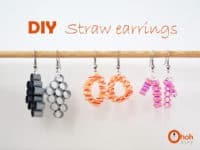 They are super simple to make and if you ever need to urgently find some earrings, this tutorial by Oh Oh Blog will totally have your back! 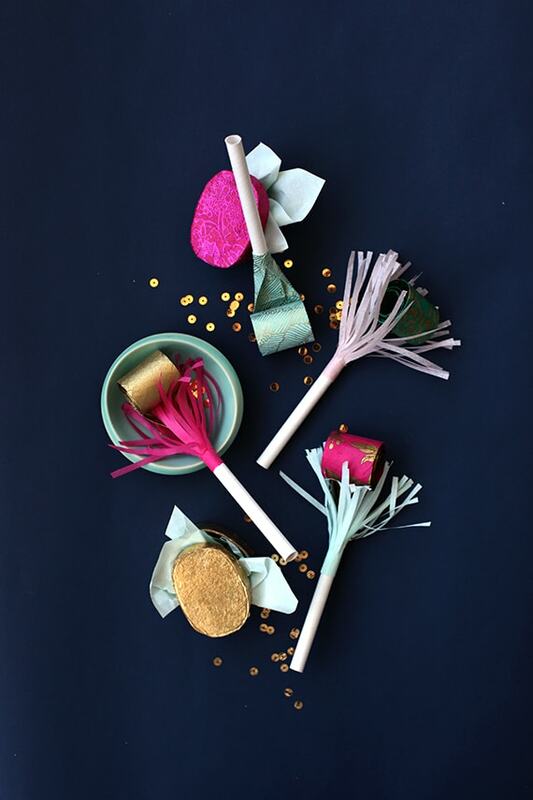 Become the life of the party with this brilliant straw party blowers we found at Julep! Who doesn’t like some silliness at a fun get-together? 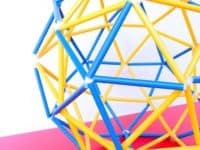 When we all act childlike and remember that we are young at heart, that’s when the best memories are created! 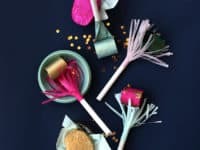 Make a big stash of these straw party blowers and get the party started! 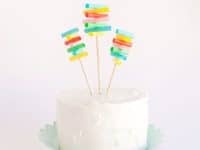 And since we’re mentioning parties, if the party is to involve cake (as every party should! 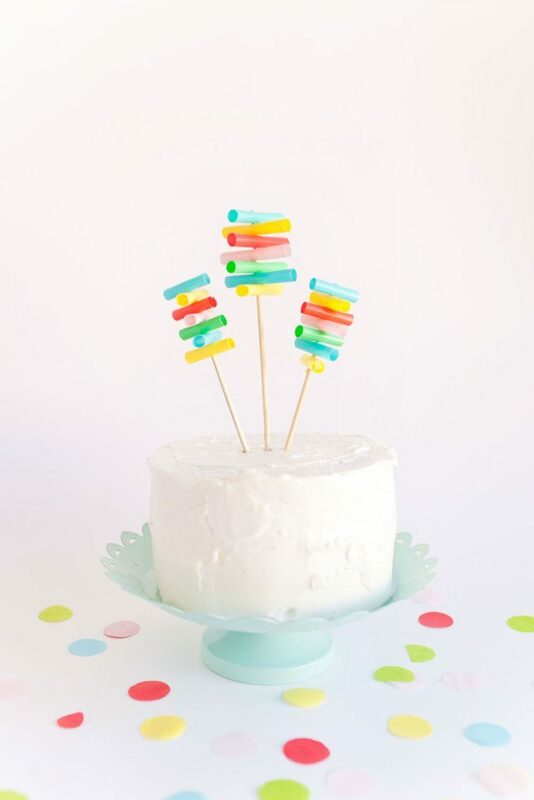 ), jump ahead and make some simple but funky straw cake toppers! Uniqueness goes a long way! 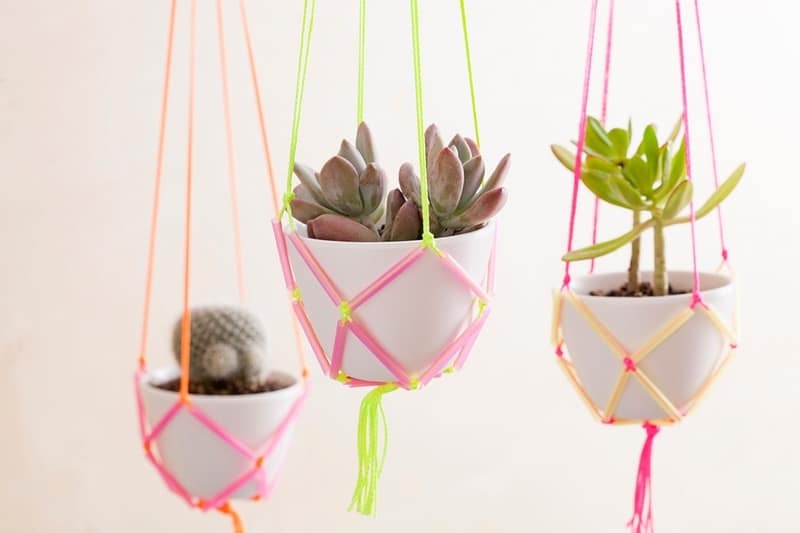 Find the how-to at Honest to Nod!